You Need To Arrive 4 Hours Earlier For AirAsia Luggage Drop? Recently AirAsia released an announcement on Twitter to remind their passengers to arrive 3 to 4 hours earlier in 15 – 25 January. Why? It is because they are closing counter W in KLIA2 to install Self Bag Drop machines. They believed with the installation of these machines, the passengers will have faster process while dropping their luggage for luggage check in. Was anyone affected by this? If so, did you come two hours early or even earlier? As a customer what is your opinion about the implementation of Self Bag Drop in KLIA2? 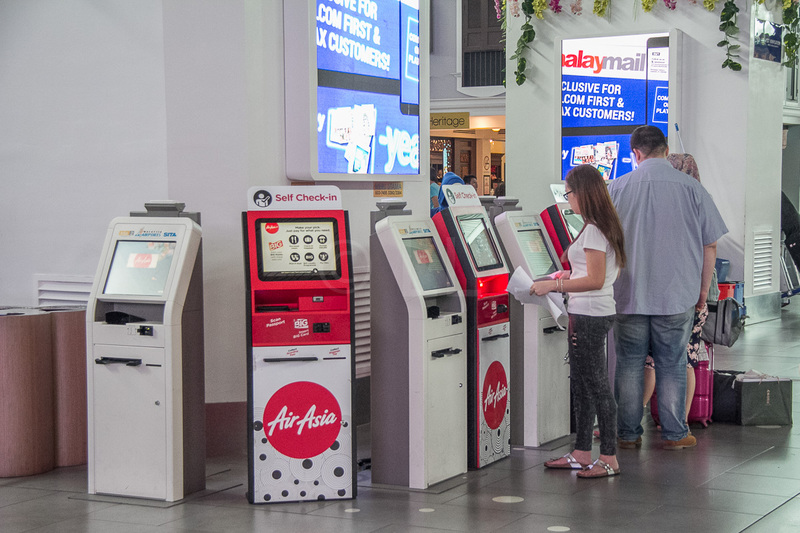 I believe the first Self Bag Drop machine was introduce in Johor at 2015 and since then AirAsia slowly adding more machines to various airports. Self Bag Tag had been introduced earlier in 2013 but now passengers are more aware of this service as it is require for Self Bag Drop. This Self Bag Drop machines and Self Bag Tag system had been introduced in KKIA for quite some time now (about a year if I am not mistaken) so I am quite familiar with the facilities. Here are some pictures of the Self Bag Drop and Self Bag Tag machines for those who are wondering. As you can see, the machine is now fully operated by the customers. In all honesty it is actually a very easy process once you are familiar with it. You just need to make sure you have everything you need which is your boarding pass, your luggage tag (it is much better if you printed it from the machine) and your luggage! You just need to scan your boarding pass then your luggage tag and tada you are done! Sounds easy right? But the problem comes when you need to print your ticket and luggage tag and there are limited machines for you to use. From my previous experience, in KLIA2 you can find a lot of working machines but at the same time there are quite a number of people that need guidance to use the machine and they are taking their sweet time to print their boarding pass and luggage tag. But when it comes to KKIA…. Most passengers tend to use the machines outside the luggage drop area and it is usually quite a long line… When there is two working machines inside the luggage drop area and there is usually no one there.. Well now you know! So you can use the machines inside and cut your waiting time. Well, based on my personal experiences at KKIA and KLIA2, I can say yes the waiting time and process time is so much quicker in KKIA compared to at KLIA2 but this only happened after the passengers are familiar with the machines and with the help and guidance of Airasia on ground workers. Anyhow, there are the pros and cons for everything. Hopefully this implementation will have more pros than cons and it will offer a better flight experience for all the passengers. Just remember to be at the airport one hour earlier to be able to print your boarding pass and luggage tag!